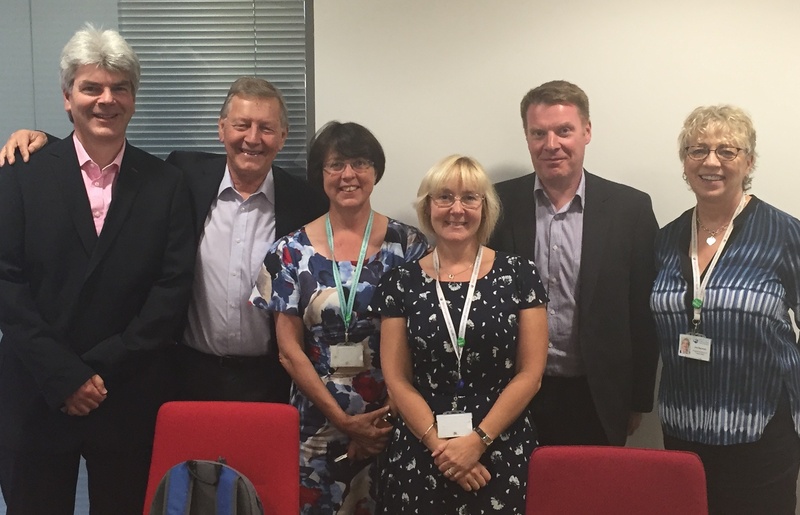 This month we welcomed Dr Mike Durkin National Director Patient Safety at NHS Improvement and Nigel Acheson Medical Director NHS England South to the West of England AHSN to talk about the work we are doing in our Patient Safety Collaborative. Now in its third year, Mike heard about the progress and achievements of our Collaborative to date and our team demonstrated some of the measured impact and outcomes we can now show from the work we have led with our local organisations. Our objective now is to spread the things we have learnt locally and to work with other AHSNs across the country to adopt their products ready for implementation into the West of England. Our National Early Warning Score (NEWS) programme was of particularly interesting, as was our work with primary care colleagues engaged in a 12-month collaborative with 14 GP practices to learn about and use quality improvement methodologies to address patient safety needs. We demonstrated some of the practical tools we have developed including toolkits, websites and QI resources, which our members can access easily to progress patient safety programmes in their own organisations. Congratulating us on the achievements, Mike commented that these outputs are evidence that “if you do a few things well you succeed much better.” He was also complimentary about the collaborations, with West of England organisations coming together in a community of practice to collectively tackle issues that affect patient safety. Mike described these collaborations as a “marriage of clinical leadership and good strong health care management. Find out more about the work of our Patient Safety Collaborative here.